No one likes the sight or feeling of an inflamed red welt. Unfortunately, when hair follicles curl and grow back into your skin after shaving, annoying red bumps can be the frustrating result. And since it’s hard not to pick at irritated skin, your best option is to prevent the problem in the first place. Read on to find the secret of getting rid of ingrown hairs forever! Not everyone likes the idea of laser hair removal or waxing. These methods of hair elimination can be expensive, painful, or simply just not practical. But just because you choose to shave doesn’t mean you’re doomed to deal with ingrown hairs forever. With a little thoughtful preparation, you can avoid ingrown hairs altogether. First, you absolutely must toss out any dull or nearly dull razors that could cause chafing and, by extension, ingrown hairs. In fact, throw them away right now. This article will still be here when you get back. Are all the dull razors in your bathroom gone? Good. Now it’s time for the most important step: exfoliation! Before you shave, you should always exfoliate the skin you plan to shave first. Think of exfoliation as giving your skin a rejuvenating scrub down. Exfoliation removes old, flaky skin that gets in the way of a close shave. After you exfoliate, the dead skin cells that can be trapped in your pores are much less likely to be present when you shave. Exfoliation also brings hair follicles to the surface of the skin making them easier to remove. There’s a variety of effective methods for exfoliation. Choose one that works best for you or mix and match. You can try a salt, sugar, or oatmeal based body scrub, or you can combine regular soap with an exfoliating glove. One of the most effective effective methods can actually be dry brushing. Scrub your skin with a gentle but firm up-and-down motion with your chosen exfoliation method, and be sure to use pressure when scrubbing. This will help remove the dead skin more effectively. Monitor your skin as you scrub and afterward. 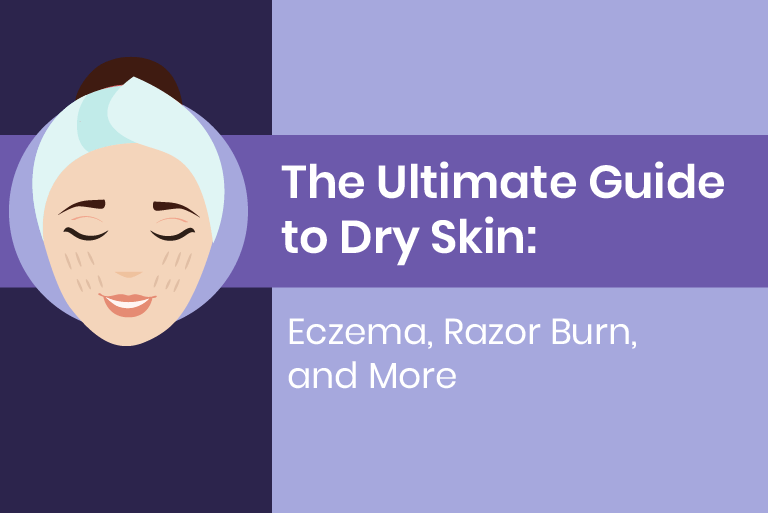 If it becomes red or irritated, you’ll want to switch to a less abrasive exfoliating method. After you finish exfoliating, rinse your legs with water to remove any remaining residue. Once you have finished your exfoliating routine, it’s time to shave. Pick a great silicone-based shave gel that has great moisturizing qualities. Buying silicone-based instead of soap-based is key. If you’re using a fresh blade and the right shave gel, it doesn’t matter if you shave with or against the grain. This applies equally to legs, arms – anywhere you shave. Just remember, no dull razors! 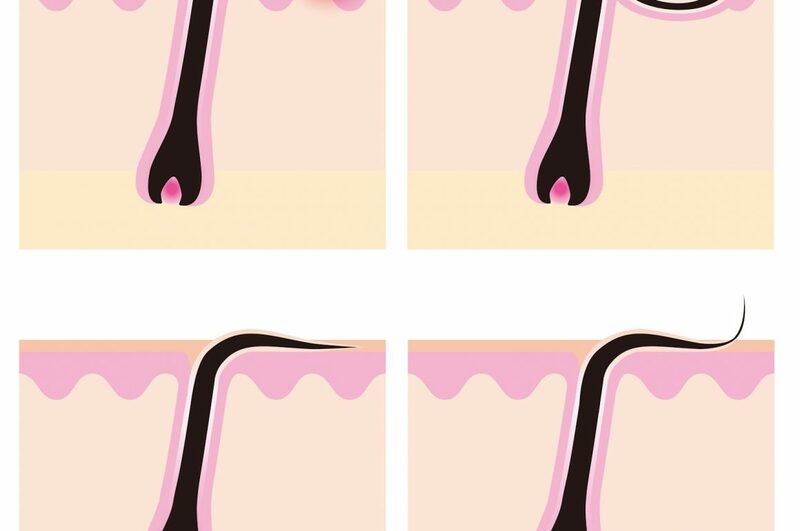 Dermatologists agree that the best way to avoid ingrown hairs is to simply shave less. Identify the optimum time between shaves that still keeps you looking, and feeling, your best. So remember, follow these simple steps when shaving your legs to say goodbye to ingrown hairs!